Are You Looking to End the conFUSION of FUSION? In our ongoing search to add new value to our member services, we are excited to announce that GSREIN will soon bring you MATRIX™ from CoreLogic®. 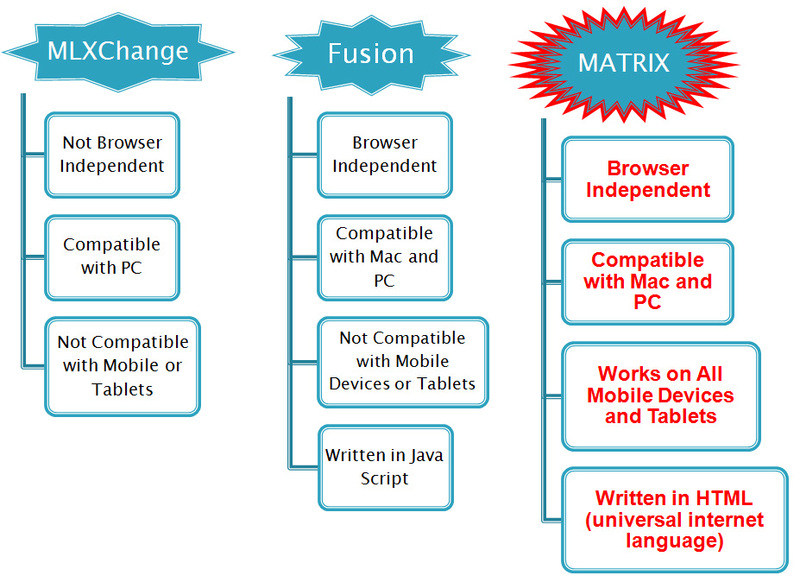 Matrix is a modern HTML-based MLS system that places equal emphasis on performance and functionality. With blazing fast search results and easy-to-learn shortcuts, Matrix saves time and makes you more efficient. Best of all, Matrix works with virtually all computer operating systems, web browsers, mobile devices and tablets, so you are free to work where and how you want. The BACK BUTTON is Back! Use the back button to navigate to the previous page. Access the FULL Matrix system from your PC- or Mac-based desktop, laptop, or tablet, including Apple® Mac® and iPad™ products. If you would prefer to access Matrix on your smartphone, a mobile friendly version will also be available. The Speed Bar lets you perform "Google-style" searches for any kind of record (listing, tax, agent, etc.) from a single, persistent field at the top of the screen. Search History automatically saves your most recent searches and keeps them in a handy list at the top of each page. Finding and re-running a previous search is as simple as a single click. The Listing Concierge lets you review auto-prospecting listings before they are emailed to your client, fostering greater interest and satisfaction. Starting from any type of search, the Stats Generator can be used to instantly create a graphical statistical report for specific market area, time frame, listing status, etc. The Hit Counter tracks activity on your MLS web portal - including the number of times a listing has been categorized as a Favorite, Possibility, or Discard - giving you the power to accurately gauge interest in specific properties. Be sure to check the Message of the Day and NOMAR.org for upcoming announcements.